Kobach or another commission member must explain exactly what has happened with the commission's voter data, a judge orders. President Trump dissolved the commission earlier this month, citing the many lawsuits that it faced. Litigation around the ACLU-Florida case, and some of other legal challenges, has continued. The Justice Department had previously submitted a declaration from a White House information technology official in charge of its storage of the data in which he said the data will not be turned over to the Department of Homeland Security, where Kobach has said the voter fraud investigation will continue. The Justice Department also submitted a letter from Kobach agreeing not to transfer the data to DHS himself. 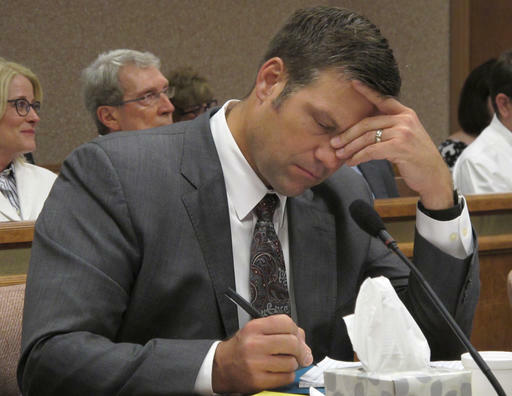 But the government has also argued that it can’t compel Kobach to do anything in the case because the government does not believe he should be treated as a defendant now that the commission has been terminated.